Exquisite Tuscan inspired home in Escala. Five bedrooms, five baths including office. Approx. 4,358 sq. ft. on .53 acre lot. Features paved drive to lovely courtyard entry. Great room with towering fireplace and gourmet kitchen with stainless appliances, center island counter / bar and breakfast nook. Formal dining room and beautiful Tuscan accents and finishes throughout. Large master suite with spa inspired bath and inviting guest suites. Entertainment loggia with fireplace and media. Sparkling pool with fountain and raised spa. 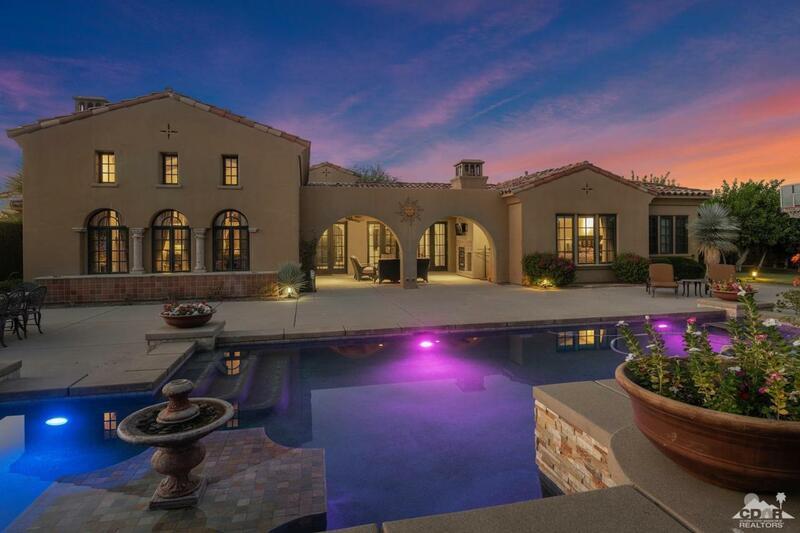 Great side yard with fruit trees and fantastic south mountain views! Offered partially furnished.